I'm thrilled to introduce my tenth book - Solo Tu: Only You - Book 7 in A Tuscan Legacy - a contemporary Christian romance novella series spanning three continents. I've always wanted to write a book for a continuity series that has shared characters and a connected story world. A Tuscan Legacy is the brainchild of my author friends Marion Ueckermann and Autumn Macarthur. I was delighted to accept their offer when they asked me to join them in their journey to write an indie novella series based in Tuscany. The series has an overarching family mystery plot that links all the books together. I've loved working with my authors friends in the group who live in England, South Africa and USA. We're excited that Book 1 - That's Amore by Marion Ueckermann - is releasing next week on Tuesday April 17! Let me share Solo Tu with you and introduce you to my characters - Sienna Rossi and Dave Maxwell. If you read A Tuscan Legacy series from start to finish, you'll meet Sienna in That's Amore (Book 1) and Ti Amo (Book 4) before journeying to Sydney, Australia for Book 7. I'm giving away a $15 Amazon Gift Card to a reader who leaves a comment on this post. You could choose to purchase the complete nine book series at the special pre-order price of 99 cents (USD) per ebook and have change left over from $15 to buy more ebooks! I'll draw the winner on Sunday, April 15 (Aussie timezone) and announce the winner in a comment on this post. To claim your winning prize, please check the comments on this post on Monday, April 16. If you're the lucky winner, please leave your email address in a comment or contact me via social media. I will do one redraw on Friday, April 20 (Aussie timezone) if I'm unable to make contact with the original winner by April 20. 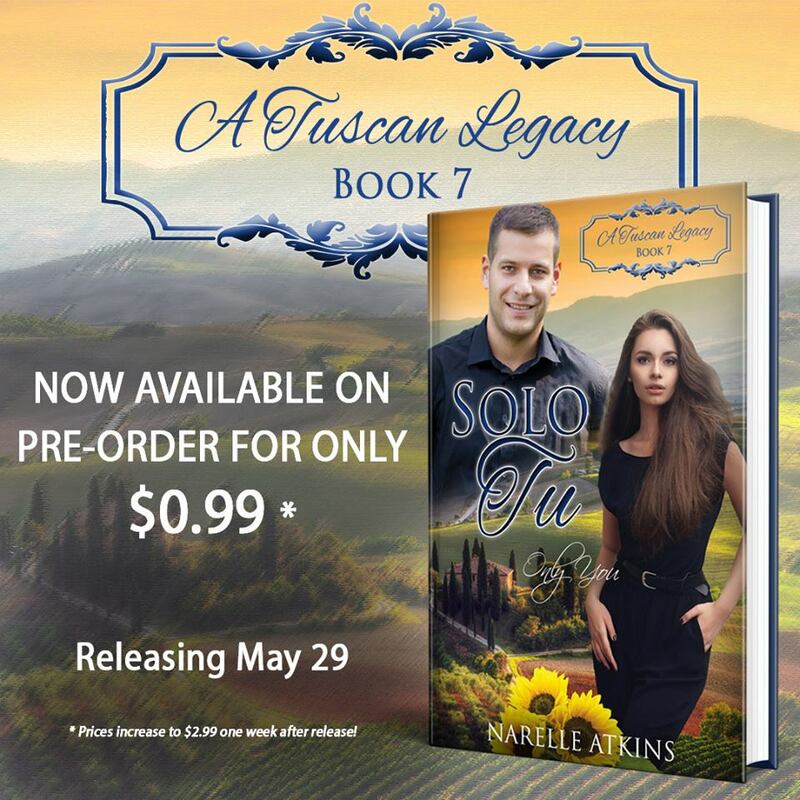 A Tuscan Legacy novellas are now available for pre-order on Amazon Kindle and will be available in Kindle Unlimited. The books will be releasing in ebook format first, and will later be available in print. Please check out A Tuscan Legacy series page on Amazon.com for more information. Here's the complete A Tuscan Legacy series list and the Amazon Kindle release dates. The ebooks are available now at the special pre-order price of 99 cents (USD). 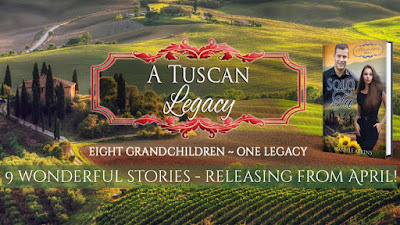 A Tuscan Legacy has a Reader Group on Facebook. If you'd like to follow the series and keep up-to-date on the latest news, please join our Reader Group. The entire series is preordered, even though I have been. Lesser with a few ARC copies. This is a delightful story and romanc idea. Especially the motif that is carried through all 9 books. As a world travel and having international roots, I like that the story takes place on several continents. Travel the world without a passport. Best wishes. Looking forward to your books. Thanks for exceptional low pricing. Most series sellfor $2.99 per book. Hi Oma, Thank you for your support of the series :) I've always liked the idea of rewarding loyal readers by offering a special pre-order price. The reader doesn't need to make the difficult decision to either buy the ebook now, at full price, or wait a few months and see if the ebook goes on sale. If only we all had an unlimited budget for books! Thanks, Kerry-Lee :) I hope you enjoy the series. I'm so excited for this series to come out! I love everything about it! I'm part Italian and so this has a real draw for me. I know some of these aren't set in Italy, but that's okay. The whole story-line is fascinating to me! Thanks for being a part of this! Hi Marylin, I love your enthusiasm for A Tuscan Legacy :) There's definitely an Italian influence in Solo Tu because Sienna grew up in Tuscany. Although, the longer she stays in Australia, the more Aussie she seems to become, lol. Yay, Narelle! So looking forward to this! I love the idea for this series! Thank you so much for the chance to win! This whole series looks so good. The covers are beautiful. IThanks for the giveaway! It would be great to win. I have all the books on pre-order. Looking forward to reading the series. Continuities are such fun!!!! Thanx for the giveaway!!! Hi Jennifer, Thank you for pre-ordering the series. :) We hope you'll enjoy reading all the books. Love the setting, Narelle. It's looks like a great series and will be interesting to see different authors take on the setting and characters. These books sound great and I would love to learn more. Thanks for this giveaway! Narelle, this collections sounds wonderful! Thank you for the opportunity. I have read ARCS of book 1-3 and down to #4. Thank you so much for your support of our series, Linda! So blessed to have a reader like you! This series sounds interesting and having an Aussie link sounds really good. I know you will do a good job of your book. Happy to be part of this series! 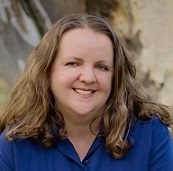 And can't wait to read your book, Narelle! One of my dreams is to live in Sydney, Australia. I totally understand the pull of home and your dreams. Congratulations Brenda! You’ve won the Amazon $15 Gift Card. I’m sending you an email now to arrange the delivery of your prize.